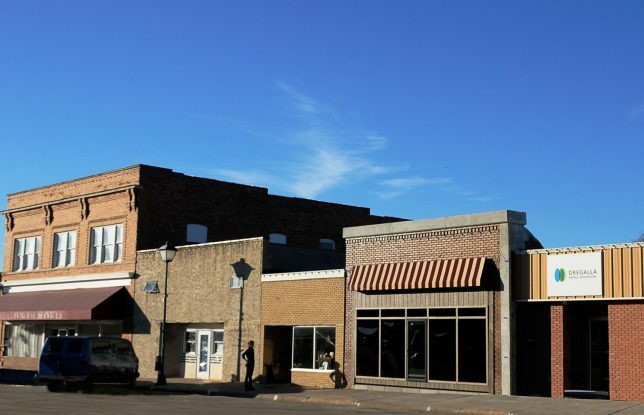 Walking down the vintage commercial strip of Lyons, Nebraska, it looks like any other building with shop windows and a front door, sharing walls with neighboring structures, but that’s all a disguise. 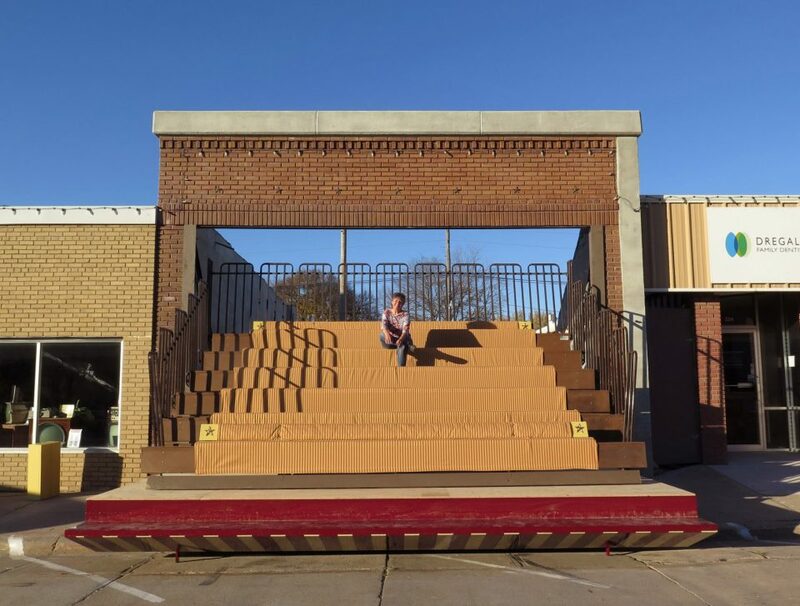 In fact, the disguise predates this creative conversion — when artist Matthew Mazzotta came to town, the lot behind the front wall was empty, making it a perfect place to create something new. 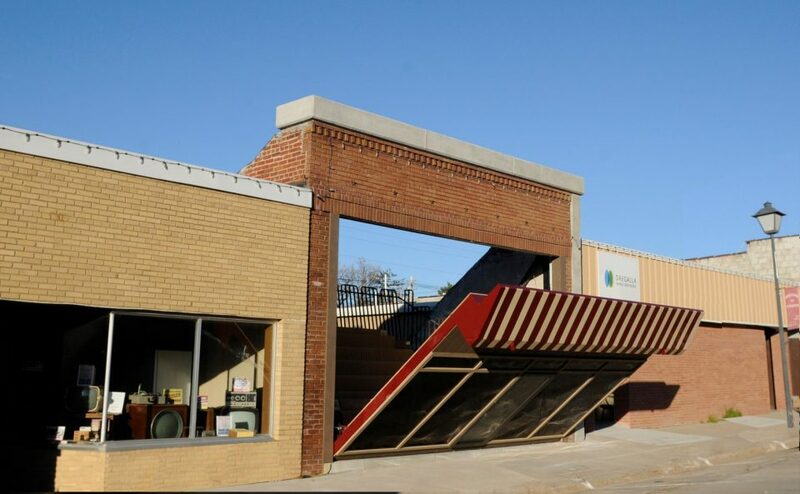 Now, however, hydraulic cylinders on either side lower a series of platforms with bench seating over the sidewalk and facing into the low-traffic street, turning the town core into a public venue space. Screens can be rolled in and performances accommodated on demand. “Both the seats and the screen retract and disappear when not in use, giving the impression that there is nothing unusual in this town, leaving only word-of-mouth accounts for inquiring visitors” explains the designer. 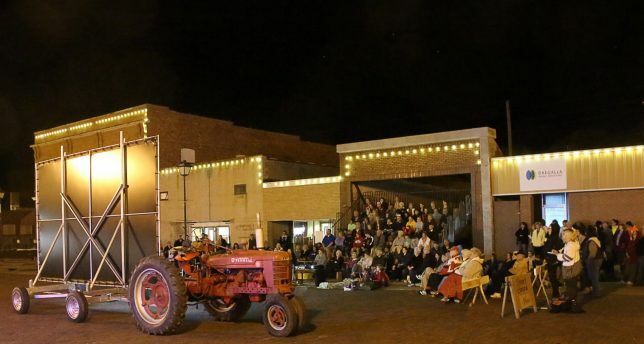 The goal is to inject some life into a small town of just under 1,000 people, creating reasons for locals to gather and others to visit.